Taming My Inner Fat Child : I Cooked. I cooked! All by myself. 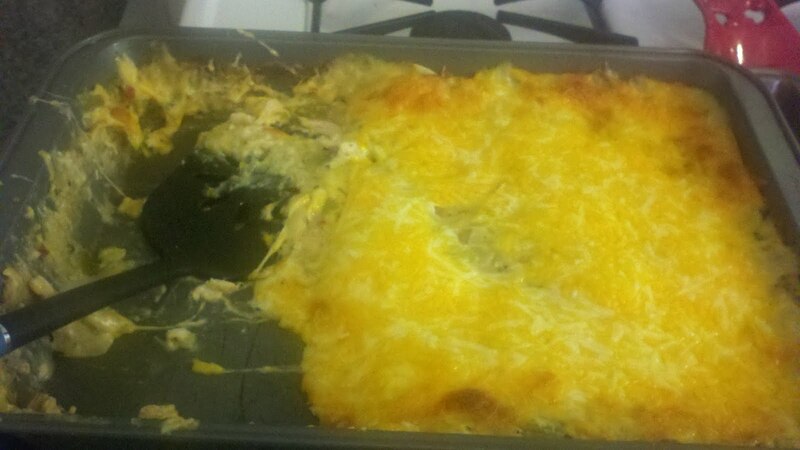 I know it looks like some kind of squash casserole but it's really green chili chicken enchiladas. Look at how proud Tyler looks of his momma. It's pitifully obvious how infrequently I cook. Ty served some to Marissa. He served some to Dave. He put some in a tupperware container to take to Eric. If he was nine, he'd be gleefully yelling, "LOOK! 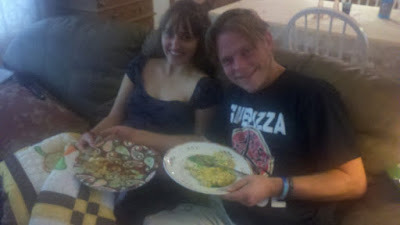 MY MOM MADE SOMETHING IN THE KITCHEN!"